Men often appear to have an advantage over women in the workplace, but that is not always the case in female-dominated industries. A study led by University of Queensland School of Psychology researcher Dr Courtney von Hippel has found that men working in 'pink-collar professions' – such as nursing, teaching and child-care – may be vulnerable to negative gender stereotypes. Dr von Hippel said men working in traditionally female jobs were susceptible to stereotype threat, or the concern of confirming a negative stereotype about their group. "Nurses, primary school teachers and child protection workers are meant to be gentle and nurturing, traits that are stereotypic of women but not men," Dr von Hippel said. "Stereotypes about men suggest they are unlikely to have the necessary traits to succeed in 'pink-collar' jobs, in which such stereotypically female traits are thought to be critical for success. "Not only are men assumed to lack these feminine traits, but they are stereotyped as aggressive, dominant and competitive – traits that are problematic in many 'pink-collar' jobs." Dr von Hippel examined stereotype threat among men in two traditionally female jobs: primary school teaching and child protection work. 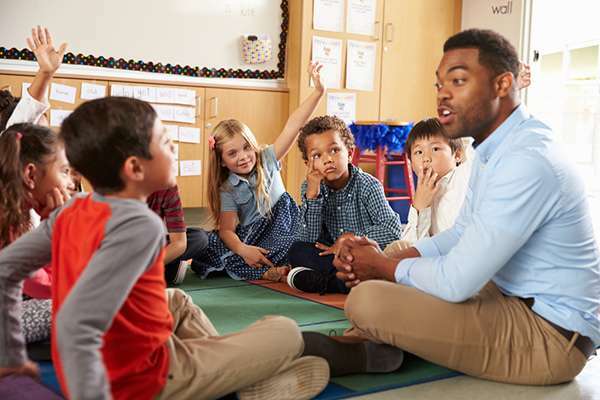 "Male primary school teachers experienced more stereotype threat than women, and those feelings were related to negative job attitudes and commitment for men but not women. "Male child protection workers who compared themselves with successful female child protection workers experienced stereotype threat that was associated with intentions to resign. "Men were also expected to perform stereotypic masculine work tasks more than their female counterparts. "So, despite their advantaged status, men in 'pink-collar' jobs are susceptible to workplace stereotype threat that results in dissatisfaction and disengagement in their jobs and an increased consideration of quitting their profession." From what I am told, the female power structure in such venues need constant verification that they are dominant, and manifest that need by bullying the men both verbally and physically. Physical dominance is shown by requiring men to step aside for females when they are walking in a corridor. Such embedded dominance behavior is particularly common in Human Relations departments and Charities.